Viknesh Vijayenthiran August 21, 2016 Comment Now! 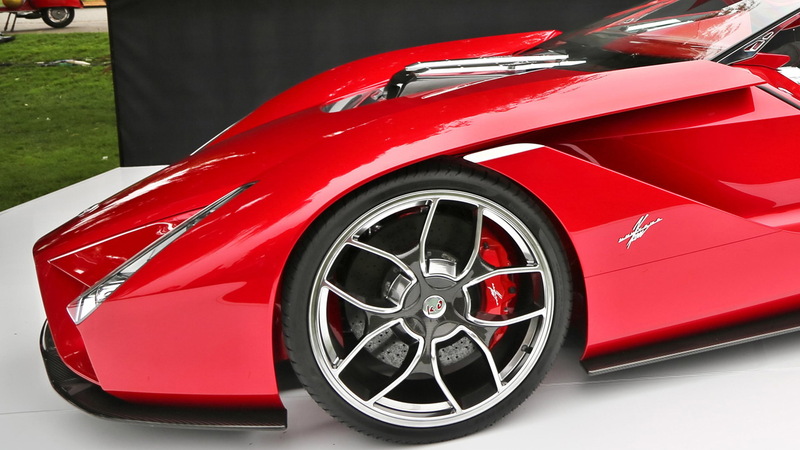 Former Pininfarina designer Ken Okuyama, the man credited with the design of the Ferrari [NYSE:RACE] Enzo supercar, unveiled a new creation on Friday in Monterey, California during The Quail, A Motorsports Gathering event. The car is the Kode57, a limited edition, coachbuilt supercar from the eponymous design house Ken Okuyama Design, based in Tokyo, Japan. It rides on an aluminum chassis, believed to be from a donor Ferrari 599 GTB, and features a V-12 engine mounted up front and spinning the rear wheels. The “57” in the name pays homage to the year 1957, which Okuyama describes as an iconic year in which many legendary cars were born and motorsport started to become popular in many parts of the globe. The front of the Kode57 is clearly influenced by the Enzo but the car it mostly resembles is another Okuyama creation, the Ferrari Rosso by Pininfarina concept unveiled in 2000 to celebrate the 70th anniversary of Pininfarina. It, too, was based on a Ferrari GT, in this case the 550 Maranello. The body panels are made from carbon fiber and feature numerous cut outs to ensure air travels around the car uninhibited. 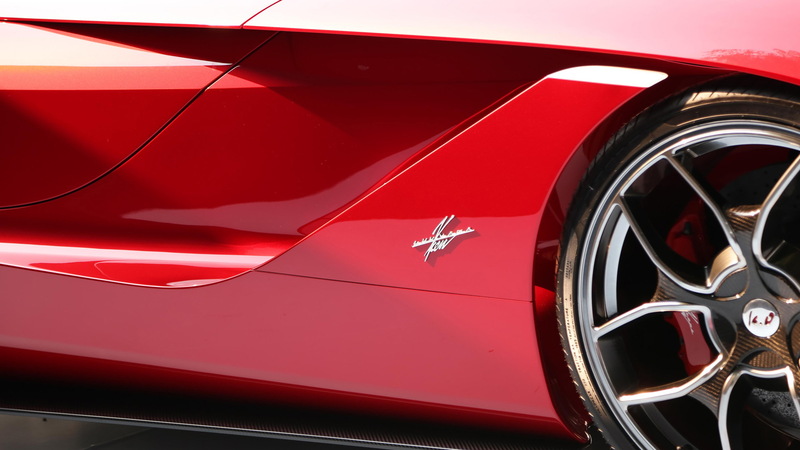 An interesting element is the “see through” front fender design which provides the driver with a view of the front wheels, just like in an open-wheel racer. The suspension was developed with famous Ferrari tuner Novitec Rosso. It allows the front ride height to be adjusted by up to 45 millimeters. Meanwhile, the wheels are a massive 21-inch set shod with Pirelli P Zero tires. Ken Okuyama Design is currently taking orders for the car, though it's not clear how many will be produced and at what price they will be sold. For more from Monterey Car Week, head to our dedicated hub.